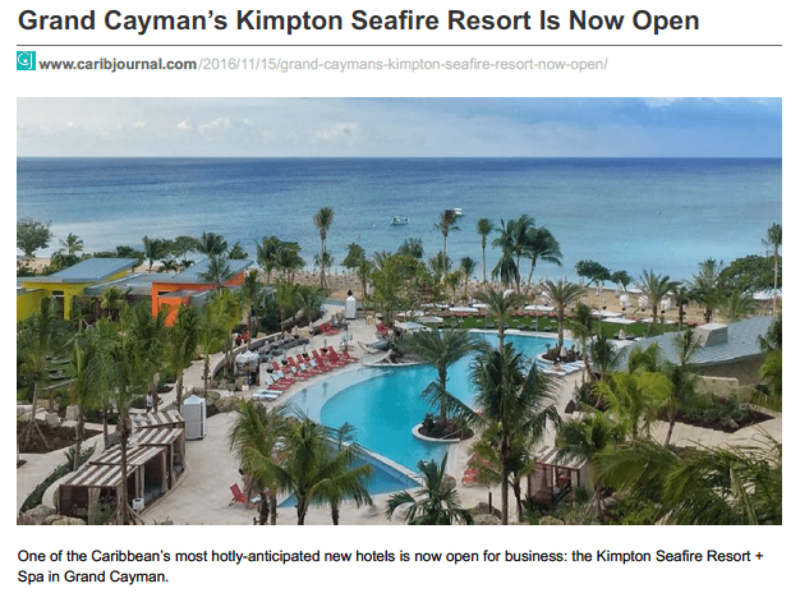 Kimpton Seafire Resort + Spa, which opened in November 2016, marked the boutique company’s first foray into the international luxury resort realm. Located on Grand Cayman’s famed Seven Mile Beach, Seafire Resort + Spa is a welcome (and hotly anticipated) addition to an island that hasn’t seen new development in more than a decade. The opening coincided with the start of the highly seasonal Caribbean peak travel period, requiring TURNER to generate a steady drumbeat of pre-opening press coverage, complemented by a post-launch blitz of top-tier placements in national U.S. and Canadian media outlets. In the months leading up to Seafire Resort + Spa’s opening, TURNER developed a highly targeted media list for pitching and invitation purposes, with carefully crafted messaging, speaking to specific media angles that aligned with the property’s muse and positioning. Through a series of interviews with Seafire’s design, F&B and resort teams we developed fact sheets, as well as briefs that formed the basis of pitching. With the potential of a sliding opening date (based on the unique nature of international permitting and the coincidence of a major U.S. presidential election in the same time frame), we crafted a flexible launch strategy to ensure coverage in key outlets. TURNER coupled a tailored, hands-on introduction to national U.S. media with a series of influencer hostings. In lieu of an expensive, large-scale activation, intimate events thoughtfully introduced the property to targeted island media and influencers. Especially notable was TURNER’s un-missable Seafire opening announcement, including a Cobblestone cocktail, a shaker and glass, and a recipe card, which was hand-delivered to 25 key journalists and editors. Additionally, a no-frills opening release was distributed via PR Newswire, with a potential audience of 88.2 million. 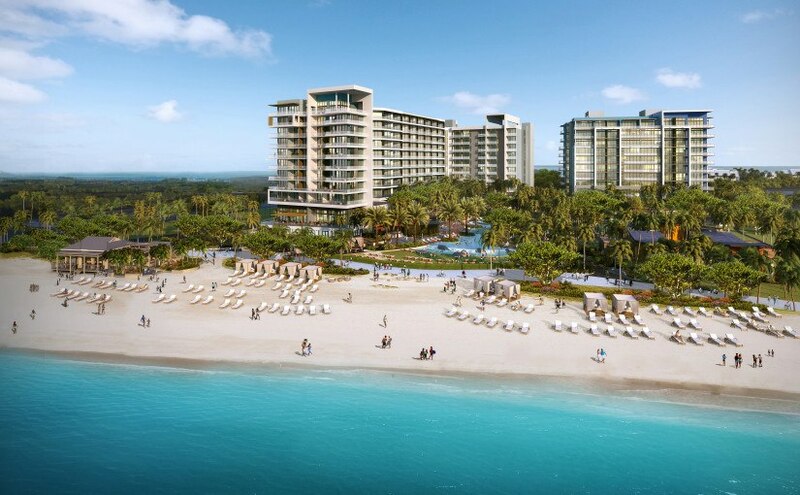 Millennial social media powerhouse Casey McPerry joined Seafire for the opening, and agreed to prominently feature the resort without charging his regular fee. In addition to providing the property with a set of incredible images for their unlimited use, Casey’s social postings generated a quarter of a million impressions and saw the Seafire brand averaging almost 30K impressions per post. His Instagram Stories ranged from 4-5K views per post. As a result of TURNER’s efforts, Kimpton was firmly established in the international luxury market, providing a template for future brand launches worldwide. Our targeted opening press release resulted in pick-ups from national outlets such as Yahoo Finance, Market Watch and The Street, as well as the leading business journals and dailies in major metro markets. Working closely with a contributing editor at Architectural Digest, Seafire garnered an online feature during opening week, and other key publications featured Seafire shortly after opening, including Food & Wine and Bridal Guide (print) as well as trade publications such as HotelBusiness, Travel Weekly and Travel Agent. Other key publications featured Seafire shortly after opening, including Food & Wine and Bridal Guide (print) as well as trade publications such as HotelBusiness, Travel Weekly and Travel Agent.